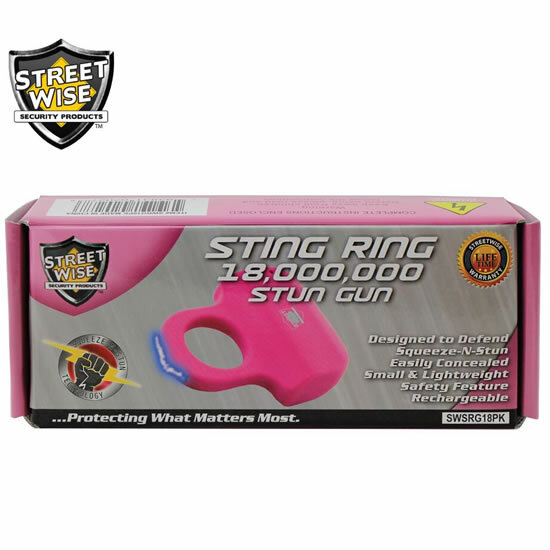 Streetwise Security Products introduces their newest design in personal protection, the Sting Ring. 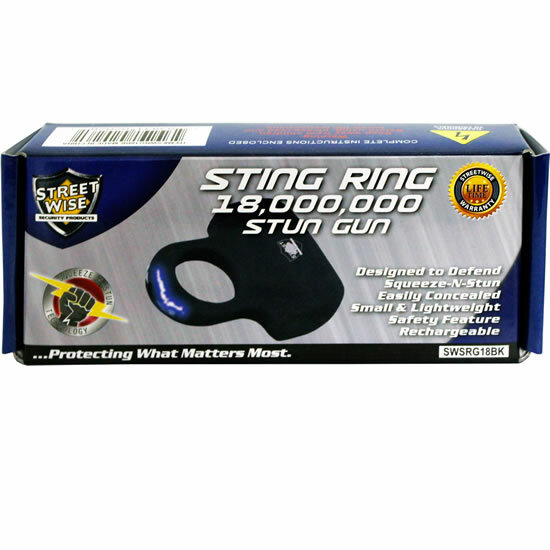 This revolutionary model separates itself from all other stun guns on the market today and is destined to become one of our best sellers. 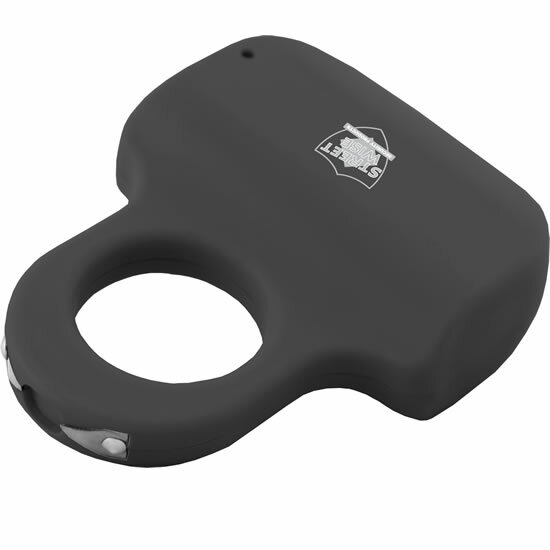 The base of the unit can be concealed in the palm of your hand exposing only the top of the Taser Ring. 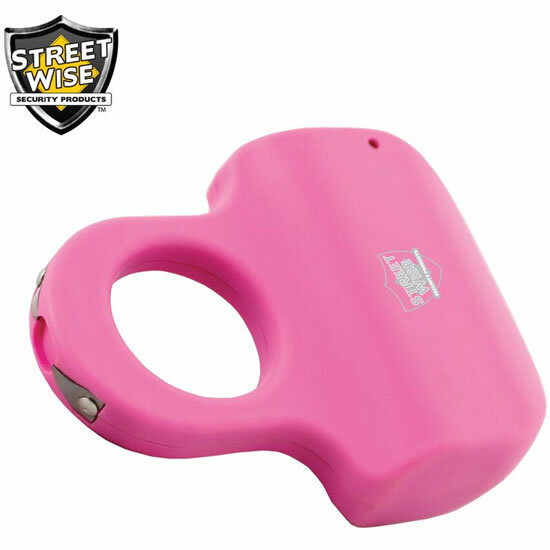 Squeeze-N-Stun Technology: When it comes to protecting yourself, saving seconds can save your life! 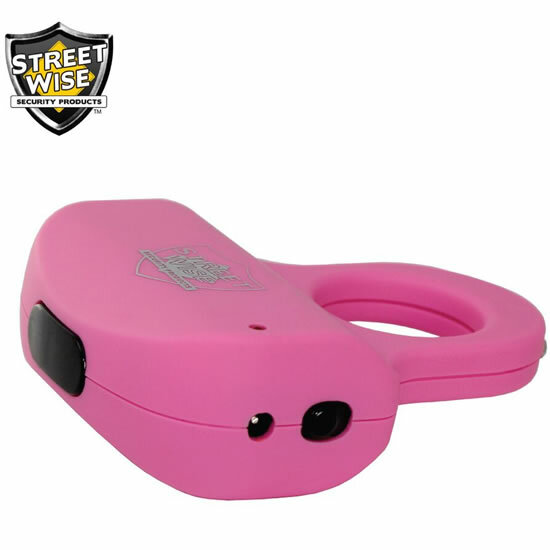 In a panic situation, the stun gun can be activated quickly and easily by simply squeezing it. 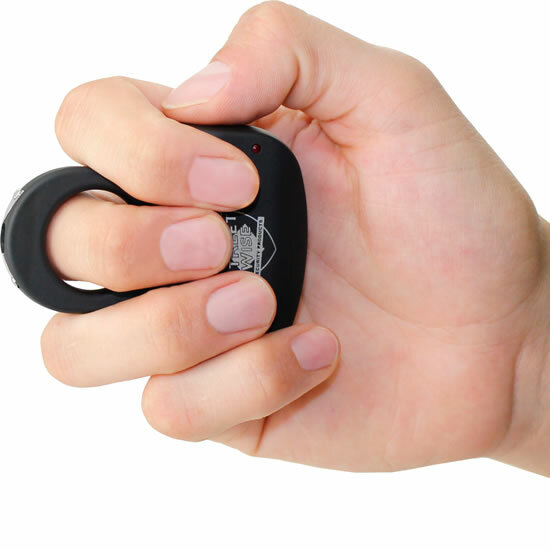 This new technology saves you valuable time by not having to fumble around for the right button to push and your tight grip on the unit prevents it from being knocked out of your hand. 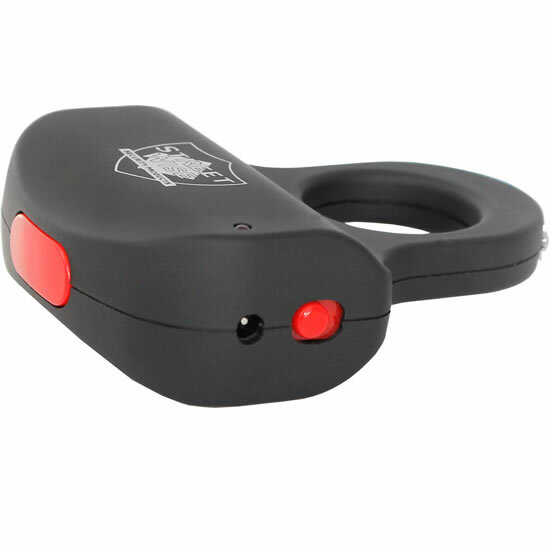 Safety Feature: To prevent accidental discharge, the taser ring features a safety switch.